The University of Leicester has published a new study, in the journal Science Translational Medicine, which revealed that resveratrol, a substance found in red grapes and peanuts is more effective at smaller doses in preventing cancer. The study used mouse models to examine the impact of lower doses of resveratrol compared to higher doses. The research results specified that cancer prone mice who consumed smaller doses of resveratrol had a 50% reduction in bowel cancer tumor growth. Resveratrol is an anti-oxidant which has been associated with anti-inflammatory properties and occurs in fruit and vegetables. Samples of tumours from bowel cancer patients given different doses of resveratrol showed that even lower doses can get into cancer cells and potentially affect processes involved in tumour growth. 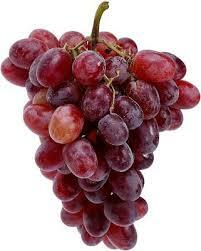 Previous research looked at high doses of purified resveratrol to study its potential to prevent cancer. This is the first study to look at the effects of a lower daily dose — equivalent to the amount of resveratrol found in one large (approx. 250ml) glass of red wine — comparing it with a dose 200 times higher. Results from bowel cancer-prone mice given the smaller dose showed a 50 per cent reduction in tumour size while the high dose showed a 25 per cent reduction. Lower doses of resveratrol were twice as effective as the higher dose in stopping tumours growing, although this effect was only seen in animals fed a high-fat diet. H. Cai, E. Scott, A. Kholghi, C. Andreadi, A. Rufini, A. Karmokar, R. G. Britton, E. Horner-Glister, P. Greaves, D. Jawad, M. James, L. Howells, T. Ognibene, M. Malfatti, C. Goldring, N. Kitteringham, J. Walsh, M. Viskaduraki, K. West, A. Miller, D. Hemingway, W. P. Steward, A. J. Gescher, K. Brown. Cancer chemoprevention: Evidence of a nonlinear dose response for the protective effects of resveratrol in humans and mice. Science Translational Medicine, 2015; 7 (298): 298ra117 DOI: 10.1126/scitranslmed.